grandma's cookie jar: Love Your Grandchildren! My grandsons are blessed to be loved by parents, grandparents, great-grandparents and extended family. They know they are dearly loved, but they still hear it, often! I also am intentional about letting them know God loves them even more than I do, because as they grow up I know life can be - and often times is - uncertain. No matter what happens I want them to know they are loved. This quote is true. My middle grandson told me when he was four, he loved God from the first time he heard of Him! 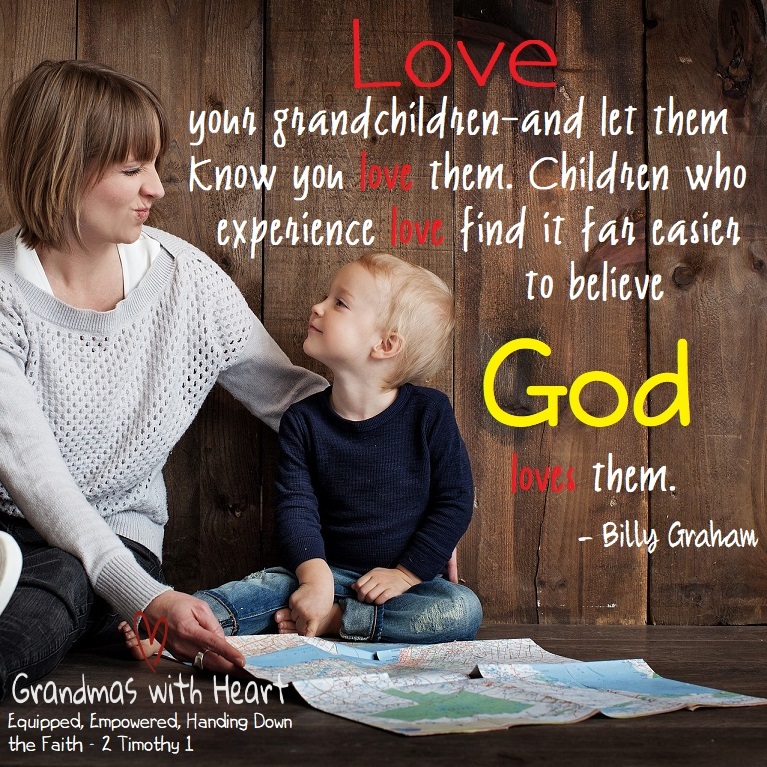 My grandson has been loved all his life, so he responded to knowing God loves him, too! Share and spread love on purpose! Tell your grandchildren, be generous with the hugs and be sure to remind them of how God loves them as well. It matters! Faith = Taking the First Step! Believe the Truth - God Cares! just for fun . . . Today is Love Your Pet Day! Please Help Spread the News! Have a Song in Your Heart! Give the Best Gift - Pray! Plan You Own Silly Olympics! Trust God - He is Your Strength! It is Safe to Trust God! Be Faithful & Trust God! Perfectly, Wonderfully, Beautifully Meant to Be! Encourage Your Grandchildren to Not Give Up! 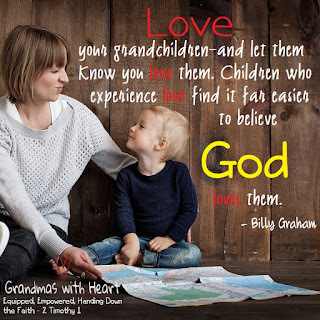 Be a Grandparent Who Seeks God! Live Life by God's Perspective!